Just receive the watch, Looks good! Just received the watches. Look nice and good. Please the link below for Ferrari watches that we have avalable in our store. Feel free to browse. Looking forward to your purchase. That`s it. I can`t hold distrust to you anymore. 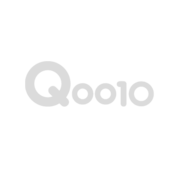 I`ll claim to Qoo10 all about orders I ordered to your shop. You didn`t input tracking number, you don`t have even tracking system. That`s very wrong system. I can`t trust your shop anymore. [Re] I`ll request claim to Qoo10. We give our utmost sincere apologies for this encounter. We understand the you feel upset and you find us distrustful. We have again contacted Qxpress regarding this matter. Please know that they have sent us a message that they will send us a response within 24 hours. Again, we give our utmost sincere apologies. If I were in your situation I will most certainly be upset and frustrated as well. I personally, will make sure to give you the news the moment we receive the response from Qxpress. I give my word for your assistance. We hope and pray for your forgiveness. It's been 3 weeks now when will you send it? If there's no stock available, please cancel my order. [Re] when is the shipping? We give our sincere apologies that you haven't received the item yet. Please know that we have already shipped out the item January 8 2017 is now currently in the hands of Qxpress for delivery. We are very sorry but on our end, Qxpress have not yet updated the tracking number. Should you have any other questions, please let me know, I'd be glad to assist you. and at the Qxpress, can`t track anything. You HAVE TO resend my order or cancel. We are very sorry for this matter, please know that we have escalated this to Qxpress. Please know that we have sent this email to them. We understand that you are very disappointed regarding your order. Please know that we will ask for an update regarding this matter. Please help us with this 2 orders. We have already shipped them out long ago but the tracking number has not been updated in our qsm. Kindly help us on this. Please update the tracking. This is really not the first time this happened. We cannot afford to have this affect our service rating when we have already shipped it out. @Steve, Please help us on this case. It really has not been the first time this has happened. Sorry but I don`t mind what happened during delivery. One thing is clear : I ordered 17.01.08, and until today 17.02.09, I can`t receive anything. Can you understand my feeling? Cancel my order with refund. Hi seller, Please check my order no. 197337398. Why so delay my order? Is there any problem?Please let me know the exact date of shipment, and if it will be more delay, please cancel the order. Thank you. We are very sorry for the delayed reply. As I have checked your order no. 197337398, the status of your parcel, was already collected by QXpress. Qxpress is the one who updates the tracking number of the shipment, after they process it in their facility, that will be the time they provide tracking number. As of now, we also do not know the tracking number until they update it. Rest assured, we will contact QXpress once again to ask them to update it. They may have accidentally missed out updating your order. We sincerely apologize for inconvenience caused.